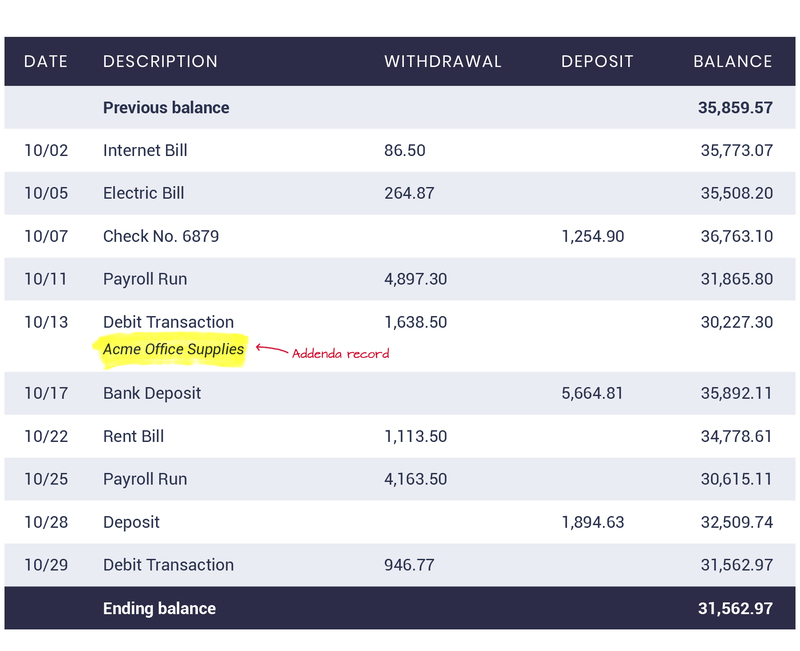 An addenda is the customizable payment detail within the ACH record that allows additional information to be passed along with a transaction to the RDFI (Receiving Depository Financial Institution) or receiver (e.g. details on a bank statement). Should your business need to pass additional information through ACH transactions Dwolla does support the optional addenda record through the Scale and Enterprise plans for business to business transfers. The addenda record option offered by Dwolla is tied to the Standard Entry Class (SEC) Code CCD, specifically, and includes 80 characters of payment related information.